The photographs that the royals include in the background of taped messages are always significant. This year's photos -- a candid picture of the Queen and Prince Philip, a portrait from Charles and Camilla's wedding, and a portrait from Princess Charlotte's christening -- underscore the continuity of the monarchy through four generations of Windsors. 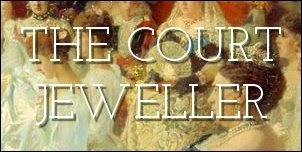 The women of those generations followed the Queen's example and wore brooches on their coats at Christmas. Camilla chose a diamond brooch from her collection of insect-themed jewelry. Kate also wore a brooch on Christmas Day this year. The gold, diamond, and pearl piece features leaves and acorns, which are part of her family's coat of arms. Kate has had the brooch in her jewelry collection for at least three years. This wasn't the brooch's first public appearance; Kate wore it in May 2012 at the luncheon held for foreign sovereigns during the Diamond Jubilee, although it was hidden beneath her hair in most of the photographs from that event. One of the most elegant members of the family, Lady Sarah Chatto, also pinned a brooch to her coat on Christmas Day. As is the case with most of Lady Sarah's important jewelry, the diamond and pearl star brooch is a legacy from her late mother, Princess Margaret. I'm really excited to see Kate in particular embracing the brooch -- the Queen's collection of important brooches is massive, and I'd hate to see them gather dust in boxes when the next generations of royal women get the keys to the vault.